We have the answers to your prepping questions. One of the problems that can occur from living off long-term storage foods is lack of vitamin C. This is a simple problem to overcome in most of the US. Plain Pine needle tea contains 4-5 times the Vitamin C of fresh-squeezed lemon juice, and is high in Vitamin A. Pine needle tea is also an expectorant, decongestant, and when cool can be used as an antiseptic wash.
Each variety of pine has its own flavor, so you can experiment and determine which is your favorite. See the warnings at the bottom of this post. Making a cup of tea is easy. Remove any of the brown little sheaths that may remain at the base of the needles. Cut the needles into ¼ to ½ inch sections. Heat your water to a rolling boil. Pour the boiling water over a tablespoon of the chopped needles. Allow to steep for 5-10 minutes. The majority of needles should have settled to the bottom of the cup. Dried pine needles can be used as well, so if you have too many left over, consider drying them and using any time you need them in the year. Caution: Women who are pregnant, or who could become pregnant, are advised NOT to drink pine needle tea in general for fear it could cause abortion. There are three conifers you must avoid! They can potentially be harmful to your health. This tree grows from a shrub to a small tree. It contains a toxic alkaloid called taxine that is highly toxic to humans and animals. This pretty, little tree often sold as an indoor Christmas tree is poisonous to many house pets such as: cats, dogs, and birds. The twigs and needles of the ponderosa pine will abort a fetus in cattle and other farm animals, and is regarded as unsafe for human consumption..
As with any plants you intent to consume, but sure you have correctly identified the plant. Failure to correctly identify the plant can be hazardous to your health and result in death. This entry was posted in food storage, medical, survival and tagged balsam pine, Howard, Ponderosa Pine, vitamin A, vitamin C, yew. Bookmark the permalink. What is the source of this information? 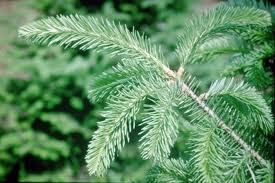 What about other pines such as Oregon Pine (aka Douglas Fir), Sugar Pine, White Fir, and other common western “pines”? Sigh. 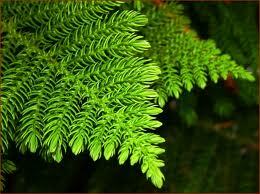 Norfolk Island pine and Ponderosa are the two most common varieties grown in Sydney, Australia. 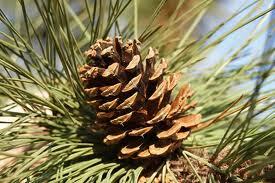 Since recently learning that pines are actually edible I was looking forward to some future foraging. Krin, do your own research. Ponderosa Pine is good to go. People have made tea, medicine, etc… for a long time. Presently I’m using it in pine vinegar. Just because they fed a cow exclusively with pine needles doesn’t make it toxic. We don’t eat 50 pounds of it, our digestive system is not set like a cow. Heck, you can die from drinking too much water (dilutional hyponatremia), that doesn’t mean that drinking water is toxic. 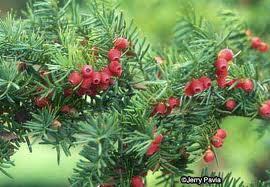 As to the rumor that the Pondoresa pine tea can cause abortion – I can not find ANY documented information about it. You would need to take a huge amount (probably tens of pounds), reduce it before consumption and it “may” work although probably not. Using incomplete information is what make people thing that plants like Sweet White Clover and American Black Nightshade are toxic too and yet they’re completely edible. The pine family is good to go including Pondoresa.The needles are loaded with Vitamin C. Enjoy! Is there a way to store the needles for latter consumption? I think that I would dry them out and treat them the same as herbs. Freezing is the best method of storage. Drying will risk the volatile turpenes evaporating and those are the great smelling citrus notes.